Allstays.com – Campgrounds listed by state. The Ultimate United States Public Campground Project – United States Public Campgrounds Project List and Point of Interest (POI) site. The Best RV Camping Sites and Locations Nationwide – A list of RV camping and campgrounds free and paid nationwide. Public Lands Information Center – Your one-stop source for recreation information. Gavin Seim, American Pictoralist – A travel map showing places traveled, photographed and the mostly free camping locations discovered in their journeys. USDA Forest Service – A guide to national forests camping and recreational services. FreeCampgrounds.com – Find a free campground for $10.00 or less! FreeCampsites.net – Find free camping near YOU! Casino Camper – Many casinos offer free camping (Player Club registration is usually required and often you get a coupon book for free meals and/or slot play. 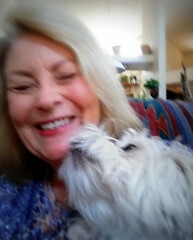 Vagabond E – He will give you the 411 on places to stay for extended time periods for free! Boondocking.org – A publicly available database of GPS coordinates for boondocking (free camping). Casino Camper – RV friendly casino camping locations by state. USCAmpgrounds.info – A comprehensive guide to Federal, State, Provencial, and Local campgrounds. La Posa LTVA (Long Term Visitor Area) – BLM land. $140.00 for up to 7 months. BLM Lands – Camping sites available by state; click on map for desired area. United States National Forest Campground Guide – A compilation National Forest camping options. Arizona Trust Lands – Arizona trust lands available for camping for a small permit fee. No Overnight Parking Wal*Mart – A listing of Wal*Mart locations by state where overnight parking is not allowed. Campgrounds of the USA – A listing of specific free camping locations in the United States. rvdumps.com – A listing of RV dump stations state-by-state. 3. Food Preparation in an RV! Easy RV Cooking – Great tips from Better Homes & Gardens! How to Make Smoothies While RV-ing – A YouTube video showing the benefits of an immersion blender. RV Cooking Ideas – Rick and Joanne show you delicious recipes on the Pinterest page. RV Service Reviews – Customer reviews of RV repair services state-by state. Map Overlays – Traveling and need to find the nearest Sam’s Club or a good state park? Look no further! POI Factory – GPS get together to share locations. AM Solar – RV Solar installers since 1987 and located in Springfield, Oregon. D & R Family RV – Ron’s been at it for “quite a while” in Glendale, Arizona and is quite knowledgeable. Solar Mike, The Sun Works – Winter works in Slab City, located in Imperial County, in South Eastern California, near Niland. CellRecption.com – Check your cell reception coverage for an area by city/state and/or zipcode. McDonald’s WiFi – Now have your Big Mac with free WiFi at 11,500 participating restaurants! WiFi Free Spot – Find free Wi-Fi coverage anywhere in the world. U.S. Wildfires – Google map of U.S. wildfires during the current fire season. National Weather Service – Severe weather warnings for the entire United States. Interactive Maps – Karen from Rolling in a RV – Wheelchair Traveling has put together an amazing state by state collection of Google Maps. These maps focus on attractions that are free or cost under $10.00. She also includes campgrounds that are near the attractions. Loners on Wheels (LOW) – “Where Singles Mingle.” Serving single campers and travelers since 1969. RVing Women – Recreation, Information, Networking, and support for women RV’ers. Handicapped Travel Club (HTC) – This club was formed in 1973 to assist RV travelers with a wide range of disabilities. Travlin’ Talk Network – A global network of travelers with disabilities who have joined together as a family of friends. This document is provided as a service to those that RV. If this information has been been helpful to you in any way, please support this website by bookmarking my Amazon Link and making any and all of your purchases on Amazon.com through this website – even at Amazon.ca for my Canadian friends. Thanks for this great list, it’s really useful for me as a full-time RV guy – albeit as one living in the UK rather than the USA, but I’m still very interested by the USA resources. 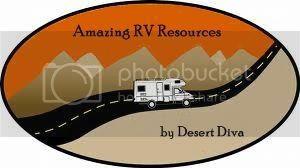 Your Amazing RV Resources page is just great! I am new at RVing and this info is invaluable. Great to have all in one place. I am searching for information on full time rving. I’m single and older than 50 and would like info about different options in Class C motorhomes. I know some are more insulated than others but would be happy to have someone email me about is one better than another. My spouse and i ended up being quite peaceful when Edward managed to complete his homework out of the ideas he obtained from your own weblog. It is now and again perplexing just to continually be giving out hints which often many people could have been making money from. And we fully grasp we now have the writer to thank for that. The type of explanations you have made, the easy web site menu, the relationships you can help engender – it is most impressive, and it’s letting our son and us know that that concept is brilliant, and that’s quite pressing. Many thanks for the whole thing! Thx 4 putting this together. Appreciate it.